Berkeley, Calif. • Two days after their best road performance of the season, the Utes reverted to familiar bad habits Saturday, missing open shots and playing sloppy defense, all while committing turnovers and other crimes against basketball in an 81-45 loss to California. 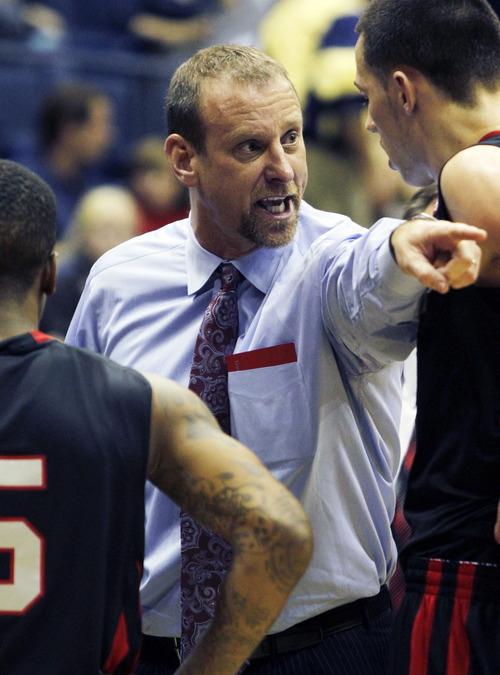 "They're a markedly better basketball team than we are," Utah coach Larry Krystkowiak said. That's an unending truth of this rebuilding season for Krystkowiak's Utes. However, in their past three games against conference teams that, it could be said, were markedly better than Utah, the Utes went 1-2 and had been outscored by a total of five points. The peak of the strong run was a 68-65 loss to Stanford on Thursday in which the Utes had numerous opportunities to steal a victory. That all unraveled Saturday, as the Utes (4-13, 1-4) suffered their second-worse loss of the season, a game bested in badness only by a 40-point loss at Colorado on New Year's Eve. Even effort, the hallmark of the Utes' midseason resurgence, was nowhere to be found. "I think we gave them all of the momentum by not playing them as hard as we have been," Jason Washburn said. In the first game between Krystkowiak and his college coach, California's Mike Montgomery, the Utes watched an early lead disintegrate into a deficit that grew as large as 39 points in the second half. Many of the 7,457 fans in attendance began filing out of Haas Pavilion halfway through the second half  just the latest protest in a city known for them  but the game was out of control well before then. After Chris Hines hit a jumper with 14:34 remaining in the first half, Utah led 7-6. By the time the Utes made another field goal, 9 painful minutes and 37 expectant seconds later, Cal had gone on an 18-1 run and held a commanding 24-10 edge. It wasn't the first time the Utes' offense disappeared on this road trip: In their 68-65 loss at Stanford on Thursday, the Utes had two scoreless stretches of more than six minutes. Amid Saturday's drought, the Utes missed seven shots and committed five turnovers. By the time it was over, the Utes shot 34.7 percent from the field and gave the ball away 18 times. The Utes have committed 36 turnovers in their past two games. After being outscored in their past three Pac-12 games by a total of five points, the Utes hoped their days of huge blowouts were behind them. But the game had shades of the 40-point loss at Colorado, and certain earlier 30-point losses to Fresno State and Cal State-Fullerton. 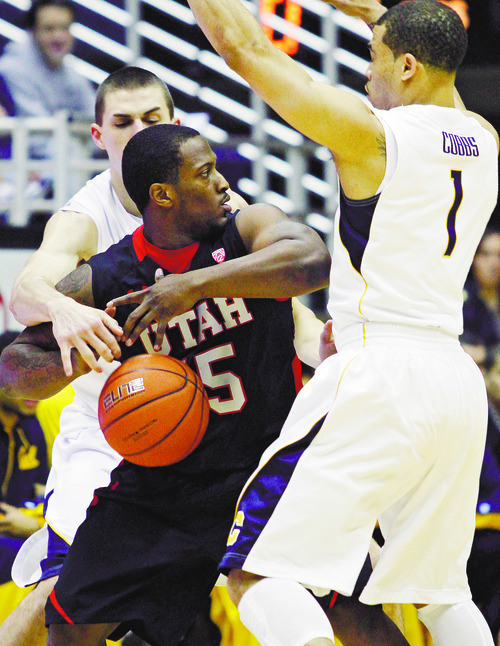 Josh Watkins led the Utes with 15 points, but he had little help. Junior center Jason Washburn's struggles continued, as he finished with nine points and five rebounds. Chris Hines, coming off a season-high 21 points against Stanford, scored eight points on 3-of-9 shooting. Five players scored at least 10 points for Cal (15-4, 5-1) as the Bears shot a season-high 59.6 percent from the field. 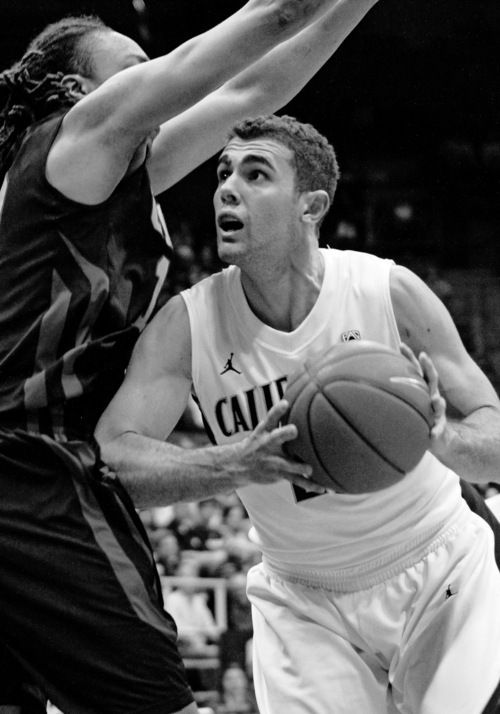 Jorge Gutierrez led Cal with 15 points. "We played an elite team here," Krystkowiak said. R For the fifth time this season, Utah loses by more than 30 points. • Josh Watkins leads Utah with 15 points but commits five turnovers. • Utah hosts Arizona on Thursday and Arizona State on Saturday in the Huntsman Center.